Which wine is your favorite? Chardonnay? Merlot? Cabernet Sauvignon? Or do you have a flexible palate that allows you to enjoy wines of all varieties? Whether you are set on a favorite or enjoy switching it up, you’re sure to enjoy a trip to the Wine Country. What with all of the California Wine Country Tours available, you’re sure to find the perfect adventure and an incredible wine with which to toast to your incredible trip to this beautiful wine producing region. There are several ways to see the Wine Country. Self-guided tours allow you to map out the wineries you’d like to visit during your stay and tackle a new route each day. If you prefer to do things at your leisure, this might be the best option for you and your travel companion. Plan to stay at Churchill Manor, a beautiful, historic bed and breakfast in Napa that is convenient to a plethora of wineries and tasting rooms, as well as other things to do and see. Wake up slowly, enjoy a delicious breakfast and then, map in hand, embark on your day of tasting and sampling! It certainly can be difficult to choose which wineries to visit first (from more than 400), but you can’t go wrong when you visit Robert Mondavi Winery, Beringer Vineyards, Castello di Amorosa and Sterling Vineyards. These four incredible – and well-known – wineries are some of the best wineries in Napa and will get your California Wine Country tours adventure off on the right foot! 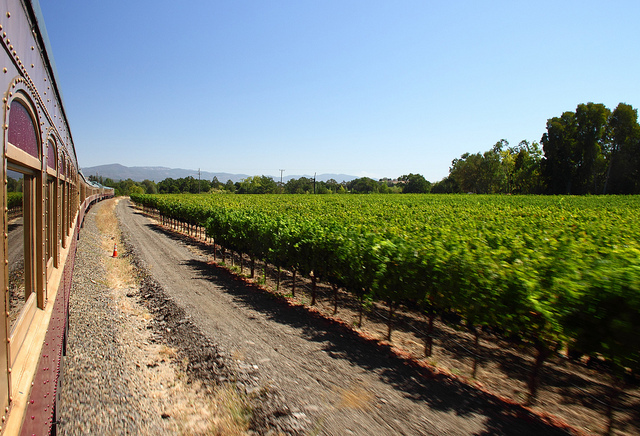 Other ways to see the Wine Country include a luxurious ride on the Napa Valley Wine Train, a perfect place to sample wines and see the beautiful Napa Valley countryside that grows the delicious grapes. 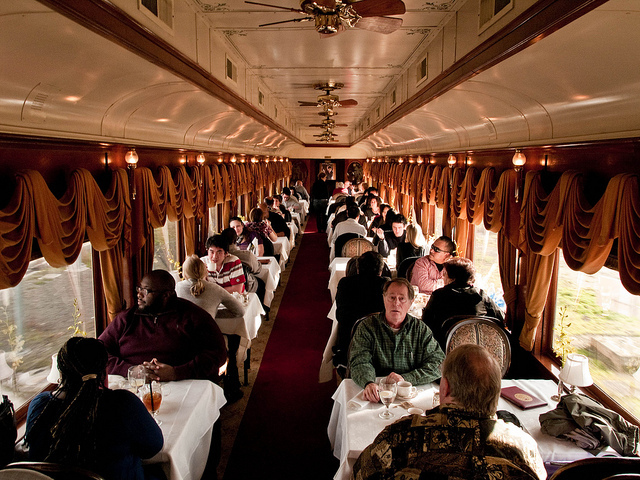 The Wine Train offers several packages, but they are best known for their Napa Valley wine tours. Daytime tours include the Castle Wine Tour. This is a tour where you will be able to find out more about two very special wineries that have castles on their properties. The other tour we would recommend with The Wine Train is the Evening Tour. This is the only place where you can tour multiple wineries in the evening. This tour is only available on Saturday and this is a very intimate tour. 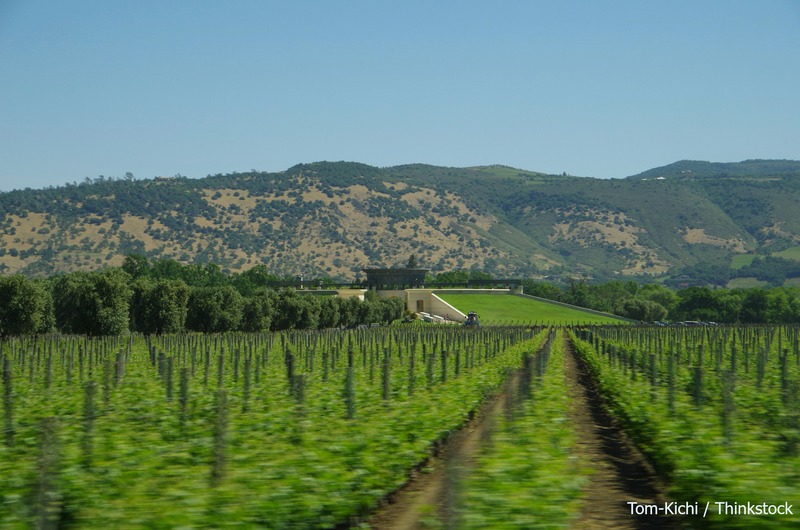 The Napa Winery Shuttle also offers California Wine Country tours. The shuttle promises guests the perfect mix of world-renowned wineries and small, hidden family vineyards that only the locals know about. Small group tours are their specialty, and because they provide door-to-door service, you don’t have to worry about transportation at all. They will pick you up from Churchill Manor, provide you with an incredible tour of the historic valley as well as stop at as many tours and tastings as you would like! Whether you’re looking for a chartered group tour, a private wine tour, or to join in on something that is already planned, Platypus is another great option. Their affordable join-in tours take place daily, taking guests all over Napa, Sonoma and even San Francisco. The private tours are also a great treat if you happen to be celebrating something special while visiting, and can take up to 6 guests along with a private guide who will educate you on the area. The Churchill Manor offers two fun packages that allow you to relax in luxury and enjoy California Wine Country Tours! Before booking your romantic trip, be sure to get the details on Churchill Manor’s Stay, Sip and Stroll Vacation Package and (which includes tasting passes to 12 tasting rooms!) and the All Aboard Vacation Package (which includes a tour aboard the Napa Valley Wine Train!). There are so many extras included with these packages, they are the perfect way to experience one of the most beloved wine regions in the world. As you plan your trip to Napa, be sure to download our free Vacation Guide for insider info on things to do and see in the region!